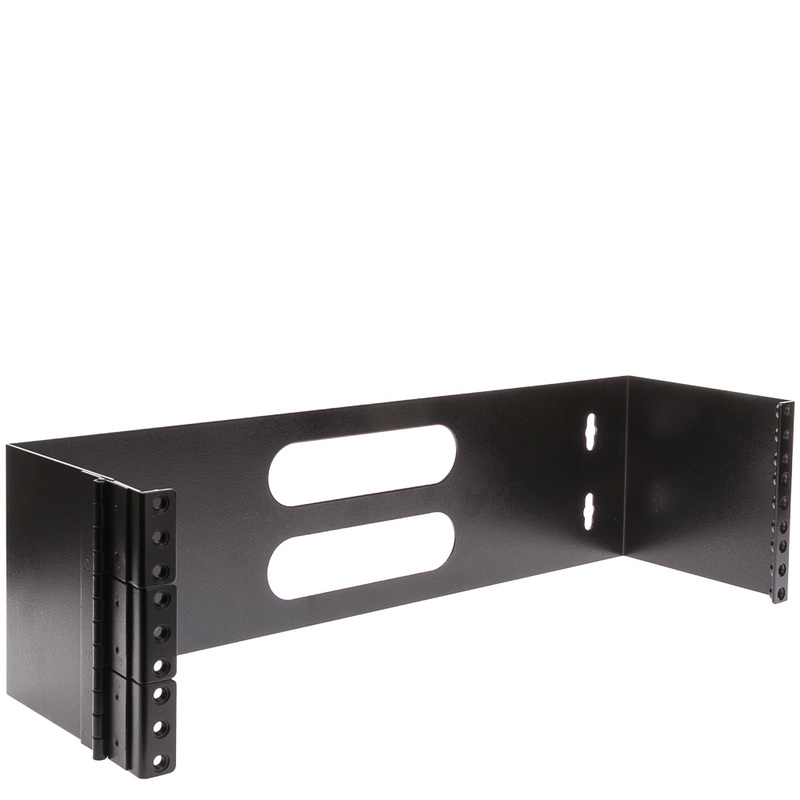 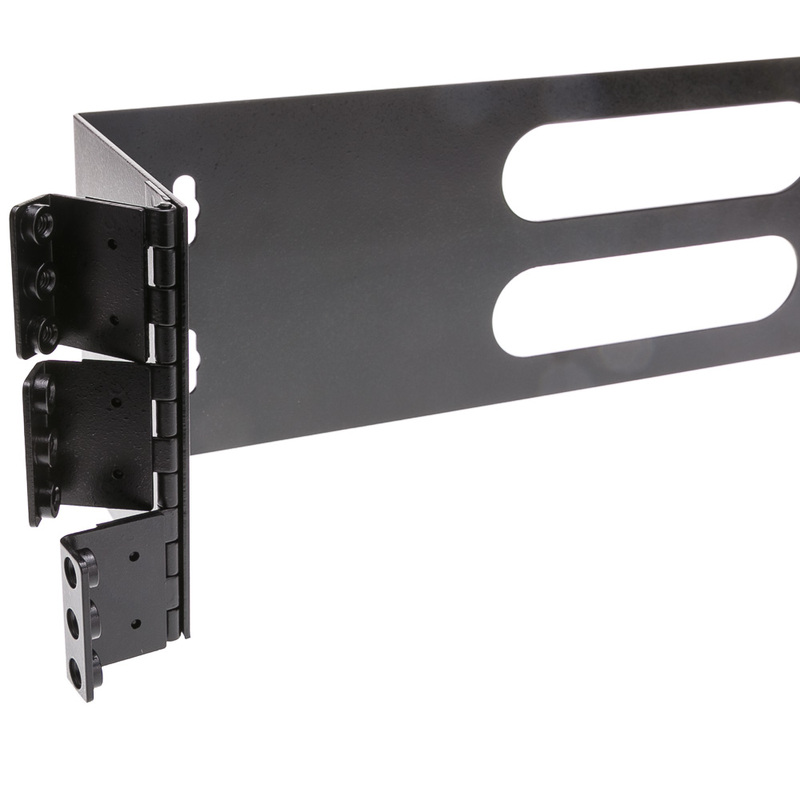 This 3 Unit (3U) hinged wall bracket makes short work of mounting network patch panels. 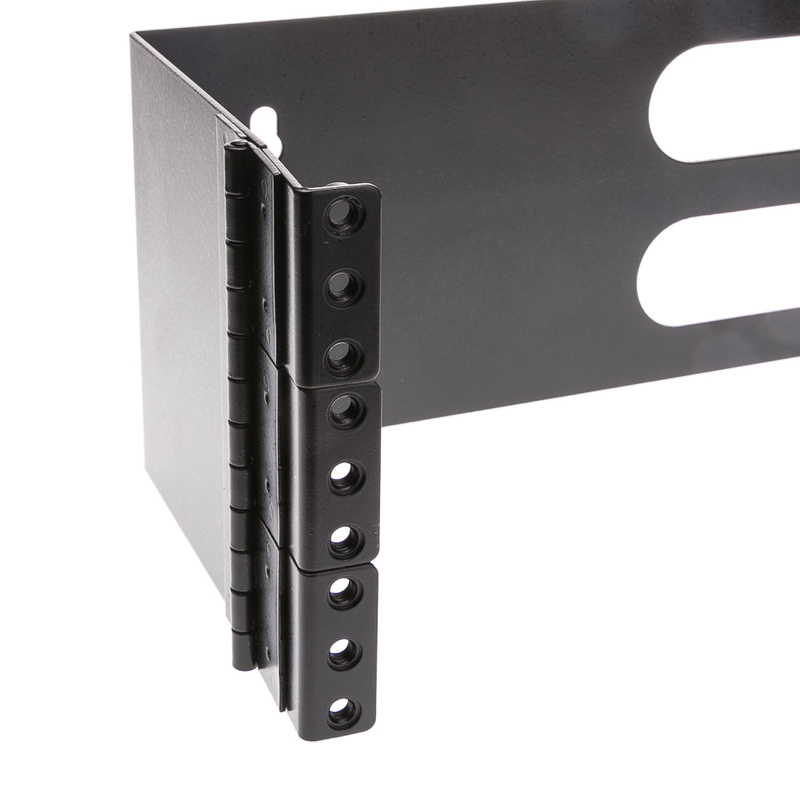 The hinge allows for easier access to the back side of mounted patch panels. 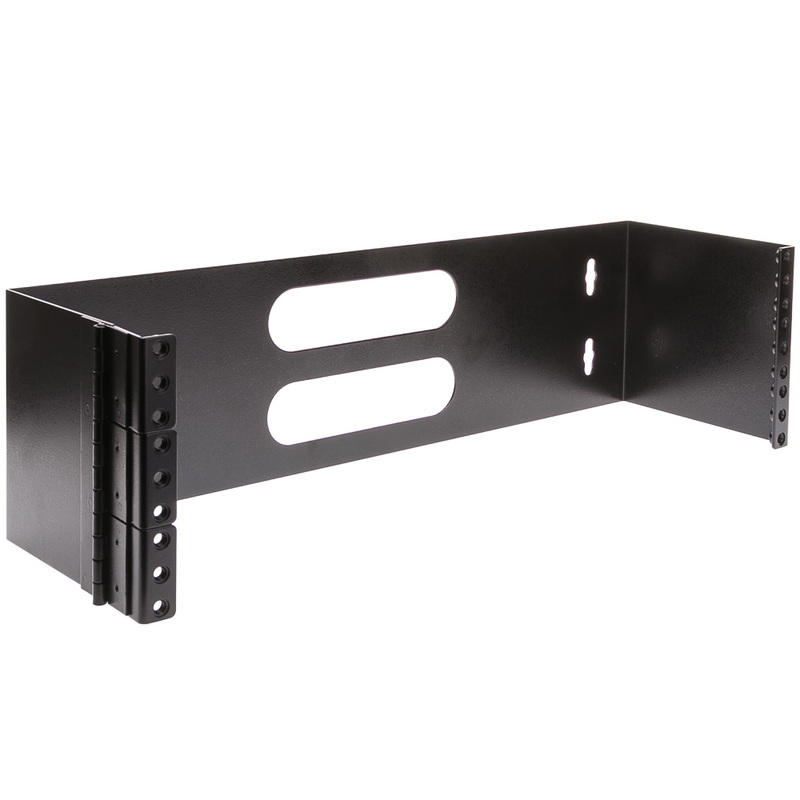 It is compatible with CAT5E, CAT6 and other patch panels. 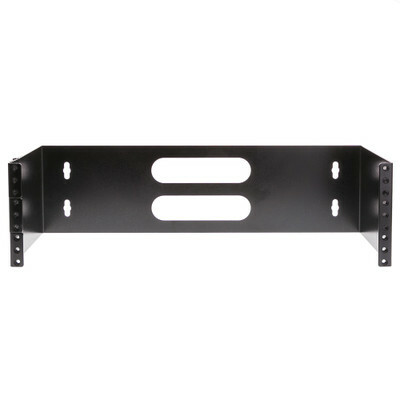 The dimensions are: Height of 5.25 inches; Width of 19 inches and a Depth of 5.8 inches. 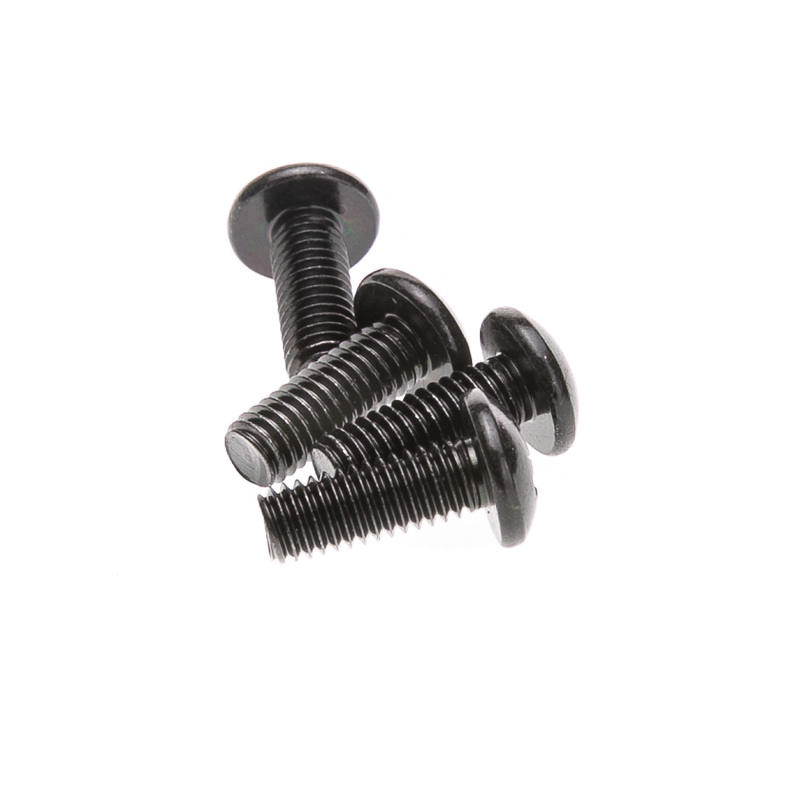 This product includes washers and screws to attach devices to the bracket.